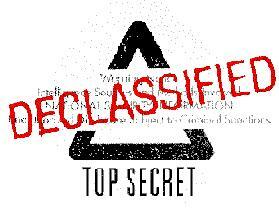 This is an expanding collection of declassified government documents on UK foreign policy. It includes: original government documents and transcripts, mainly from the National Archives in London; articles by Mark that analyse these declassified files; and online articles that cover such files. What do these files and articles reveal? These files highlight a range of British foreign policies since 1945, notably the UK involvement in coups, wars, covert operations, human rights abuses, arms exports, propaganda operations, and support for repressive regimes. They highlight much of the true nature of the UK’s role in the world, and especially reveal the actual interests and priorities of UK policy-makers – Prime Ministers, Ministers, ambassadors and civil servants. Click on the countries and themes below to view the files and articles. The aim is to eventually build a fully comprehensive and searchable collection of declassified British documents and articles – to make these fully accessible to the public, which has a right to a better knowledge of what has been done, and is being done, in our name. In addition, the project seeks to encourage and support researchers to undertake work online and at the National Archives to publish more documents and articles on the reality of the UK’s role in the world.